I was checking my blog stats and discovered this Spoonflower Sweepstakes. The grand prize is a trip to QuiltCon, including airfare for two from any major US airport, accommodations & meals, admission and registration for four days of amazing lectures and selected workshops. As part of this all-expenses paid trip, we're including enrollment for you and your buddy to three of our very favorite workshops. If you're our winner, you'll get to attend "Modern Block Improv" by Sherri Lynn Wood on Thursday. Sherri is an improv master and just an all-around lovely person. (I met her once at a yard sale!) 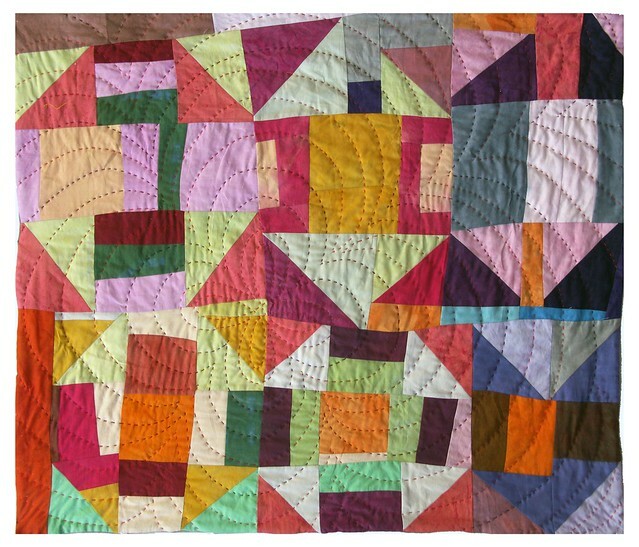 Prepare to be blown away when you check out her improvisationally pieced series of "Color Study Quilts." If you haven't entered yet, the Spoonflower sweepstakes ends in two days on November 14, 2012 @ 08:00 pm (EST). Enter with Facebook or with this alternate entry link.